Now more than ever, builders are making use of integrators and low voltage contractors to offer a complete networking package. There is finally a professional way to complete your pre-wire package without having to leave a coil of cable in the attic for dish installations. 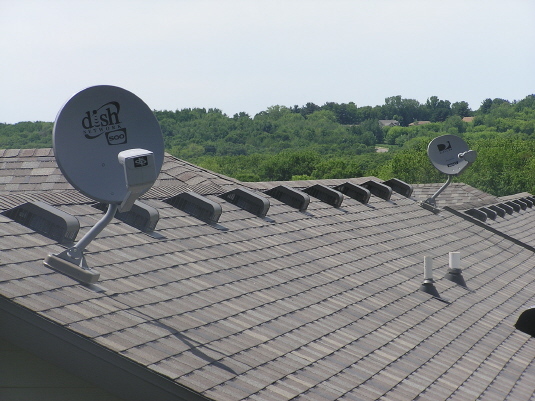 The CommDeck gives you the perfect opportunity to offer a complete satellite package that will add value to your customers homes for years to come. CommDeck allows homeowners a pre-wire method that anticipates and addresses the current and future technology needs at a minimal cost. All cables can be wired directly into the CommDeck and remain coiled inside the base unit until the homeowner is ready for future service. Today, offering products that can give the homeowner as many options for future services is key to a successful pre-wire package. The CommDeck satisfies that criteria. Use a toggle wing from a toggle bolt to install the wire into the CommDeck while working from inside the attic space. In many cases this will keep the Low Voltage techs from having to go onto the roof surface. The toggle wing will hold the coax cable and ground in the CommDeck and will be ready for the satellite dish or antenna installer to use. See Tech Tips on the Installation and Training Page for complete instructions with pictures.